Are you ready to catch some of the biggest superstars in martial arts showcase their skills in an adrenaline-filled night at the Singapore Indoor Stadium? 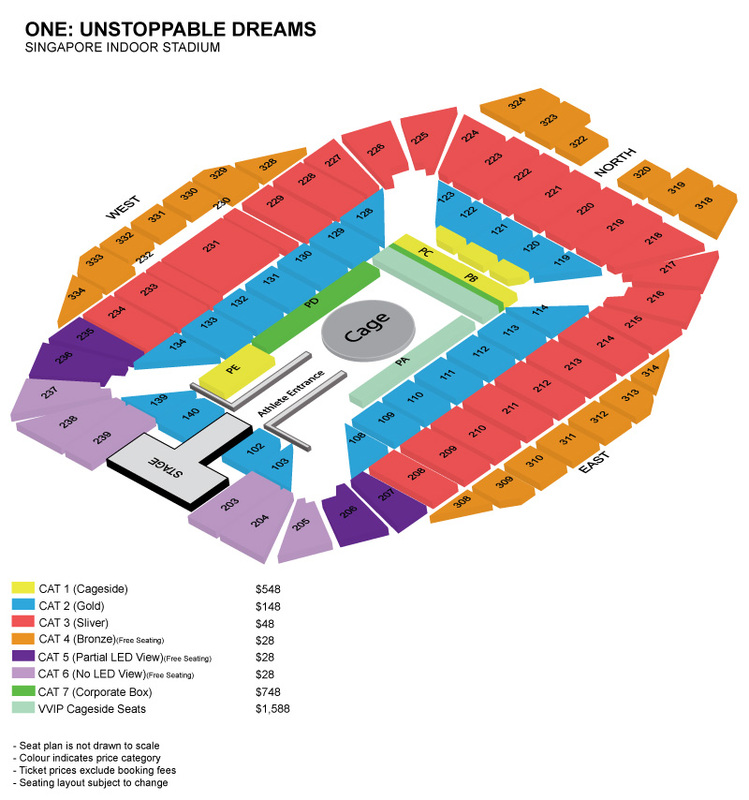 Here's what you need to know for a smooth experience at ONE: UNSTOPPABLE DREAMS! History will be made when ONE Championship returns home to electrify the Singapore Indoor Stadium on 18 May. 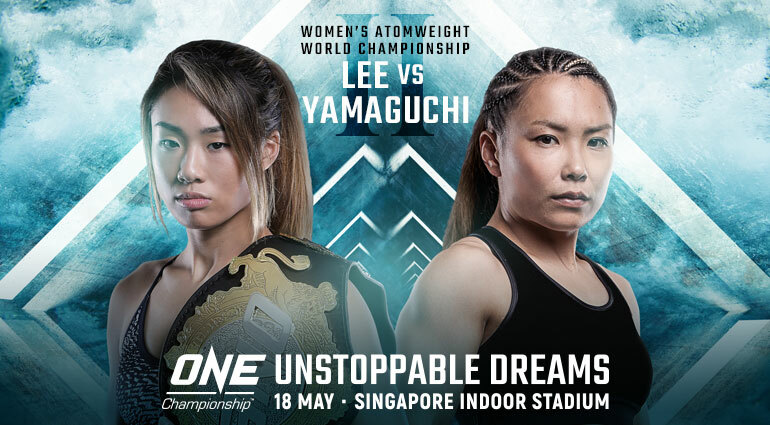 For the first time ever, ONE Championship will hold three world title bouts in a single night with ONE: UNSTOPPABLE DREAMS! The epic event will be headlined by the greatest rematch in women’s martial arts history, as ONE Women’s Atomweight World Champion Angela Lee and Japanese veteran Mei Yamaguchi revisit the site of their internationally-acclaimed Bout of the Year effort in 2016. In addition, ONE Featherweight and Lightweight World Champion Martin Nguyen will defend his featherweight crown against Christian Lee, while multiple-time Muay Thai world champion Sam-A Gaiyanghadao meets Lion Fight lightweight champion Sergio Wielzen for the inaugural ONE Super Series Muay Thai Flyweight World Championship. They will be joined on the card by some of the biggest superstars in martial arts today, so don’t miss your chance to see them showcase their skills in an adrenaline-filled night like no other! Plus, all ONE ticket holders will also enjoy free entry to the Official After Party at 1-Altitude & Altimate following the event. Simply present your ticket stub upon entry (club rules apply). Booking fee for tickets S$30.01 and below: S$1.00 per ticket. 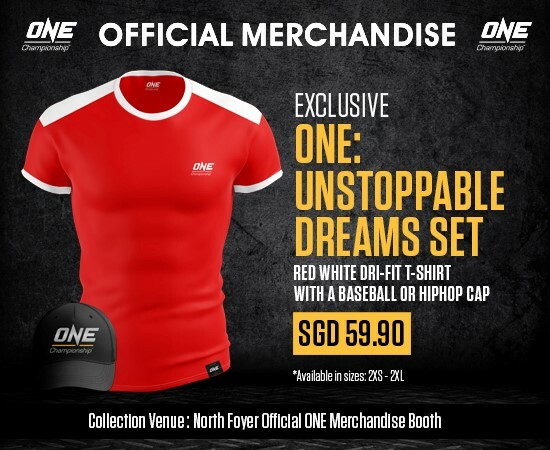 For purchase for VIP Packages, please contact Nicholas Tan at N.tan@onefc.com.